This is UNABRIDGED III, for minecraft version 1.7.10! 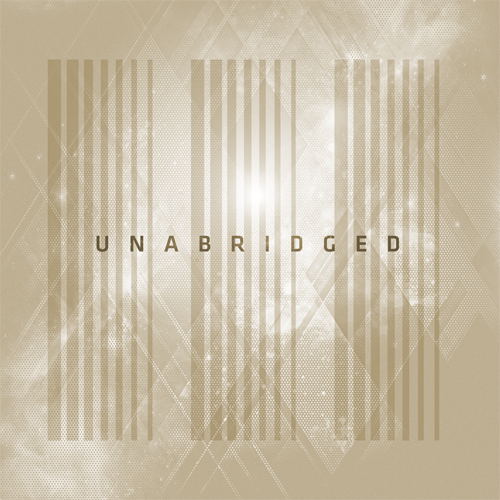 Allow me to introduce you to Unabridged III! This is basically the definitive edition of Unabridged. Highly stable for its size, and featuring a ton of unique content. Literally years of development have gone into this pack. Hopefully you can find some reasons to play below! In this pack you will find something for everyone. Whether you be a magician, machinist, explorer, or architect, there is always something new to discover! One of the main goals of the pack is to make sure there is considerable diversity in the mods available, catering to many different styles of play. I usually prefer to spotlight and promote unique mods that are not what everyone normally uses, while still offering a majority of the "basics". There will be no forced progression through any mod. The choice is yours to make on how challenging or simple your adventure will be. Unique mod selection, a balanced blend of popular mods and more obscure mods that you have likely never used before. EiraIRC chatroom where you can talk to other users of the pack, even in singleplayer! Takes literally 10 years to load. Extensive minetweaking adding extra compatibility between the mods so they play as smooth as possible. Good for use on servers where players enjoy vastly different mods and play styles, but still want to play together. Not ultra restrictive, mods play as you would expect them and as close to their default behavior as possible. An actual kitchen sink courtesy of MrCrayfish! * PLEASE ADD [INSERT MOD HERE]! Mod requests are closed. Sorry for any inconvenience. * HOW TO CREATE SERVER PLS?! Download and install forge. Download modpack. Copy over the mods, configs, and scripts folders to your server. Remove clientside only mods listed above. Start server. * FPS IS BAD, I AM NOT GOOD FOR COMPUTER, PLZ TO HELP?! If your FPS is low, first thing to do is check that you are dedicating enough memory. Curse Launcher sometimes sets you with something low by default.I recommend at least 4GB for this pack. Also, I highly recommend that you go download Optifine. It's also a good idea to turn your draw distance down to at least 8, that has been helping me. Turn mipmapping off entirely. There are 10 million mods in this pack, bad things can happen. If you want the best chance of bugs being resolved quickly. Head over to Github and let us know about it.